Why do we tend to reach for unhealthy foods at night? We have limited late-night options. 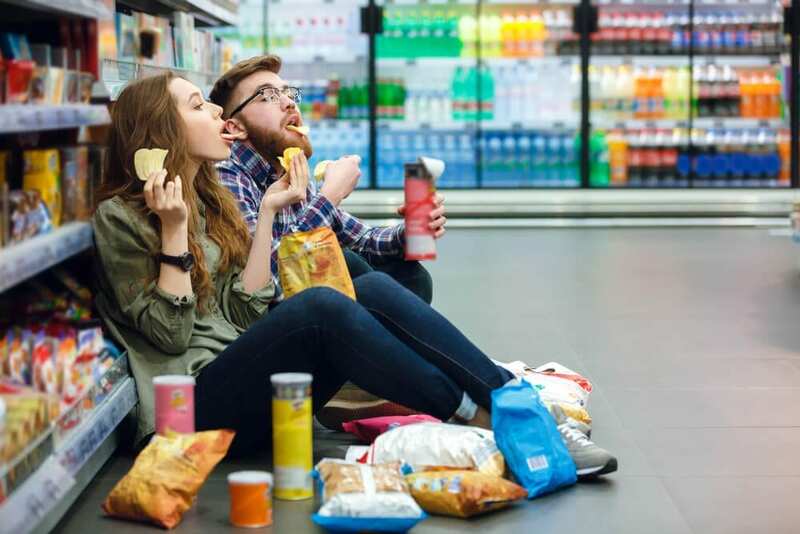 We often reach for the usual snacking suspects when we’re hungry at night because they’re available; we’re hungry, and the options we find everywhere all seem to be the same level of unhealthy. When we can’t find any good choices, we grow more likely to settle. 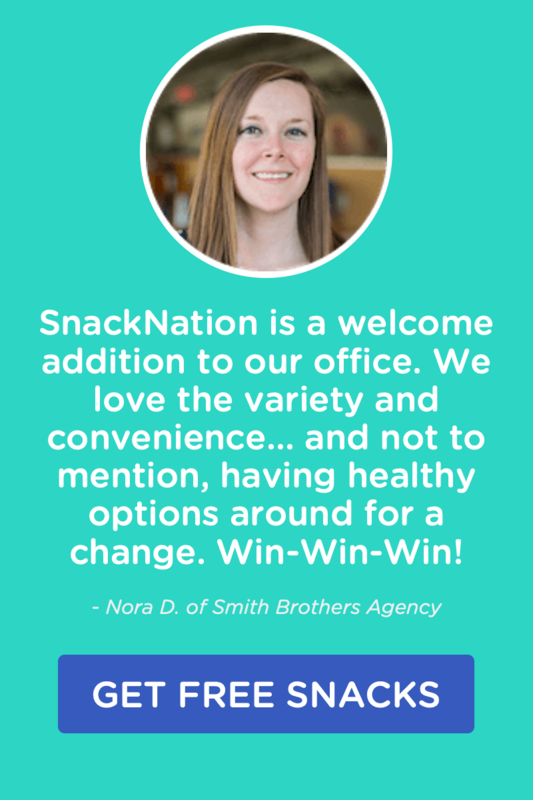 Eventually, we give in and grab the tastiest, most convenient snack we can find. We’ve all felt late-night cravings, so we don’t really need to prove they’re real. Yet somehow, knowing cravings might have a legitimate cause can be comforting. According to some research published in Obesity, our biological rhythms might inspire us to crave fatty or sweet foods at night. Our bodies know we’ll be asleep soon, and we won’t be able to “spend” the energy. Our bodies actually see this as a good thing; in terms of biological wiring, which favors survival, a wealth of stored energy looks like a major win. To summarize, we have supply and biology potentially working against us as we try to choose healthy late-night snacks. So what’s the big deal? According to researchers from the University of Pennsylvania School of Medicine’s Center for Weight and Eating Disorders, eating at night might cause your body to store calories as fat instead of burning them for energy. Don’t worry! You can still satisfy all the cravings nature imposes on you while avoiding the weight gain associated with late-night eating. Use this list of healthy late-night snacks to prepare for cravings before they strike. 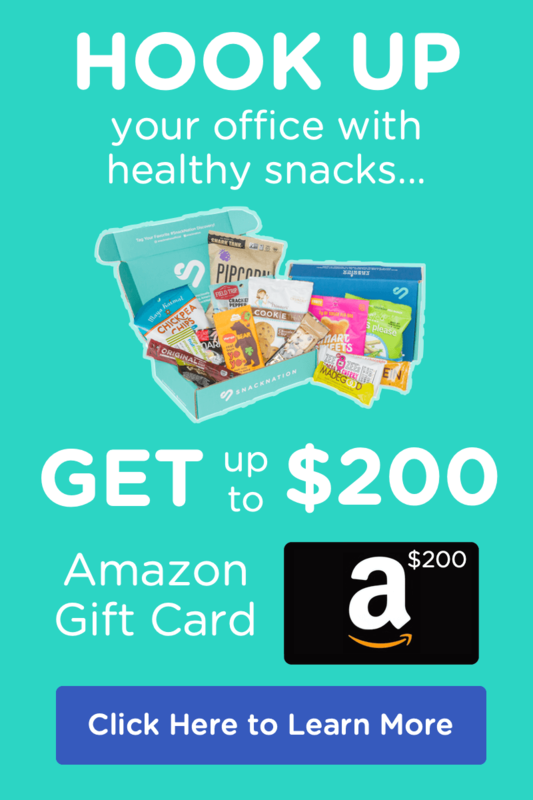 We’ve come up with healthy options to stand in for all the snacks that may have once filled your nights. You won’t miss the old snacks; the news ones taste just as good, and they’ll make your mornings feel much better. Before we cover the specific snacks, let’s set some general ground rules for healthy late-night snacking. Keep these rules in mind any time you’re having post-dinner cravings. Has less than 400 calories per serving. When you keep the calorie load of your snacks light, you can help prevent filling your body with the kind of excess calories it might immediately store as fat. Has fruits or vegetables. SInce you’ll soon be at rest, lounging or sleeping, you probably want to avoid snacks composed mostly of simple carbohydrates, fats, or protein; your body may not have time to properly break down these items. Is low in sugar. The short burst of energy sugar provides will do nothing to improve your sleep. Eat wholesome, nutrient-rich blueberries instead of sugar-laden cereal to get sweetness without too much sugar and preservatives. Low-fat yogurt fills your stomach better than milk, so you can satisfy your late-night hunger and move on with your life. 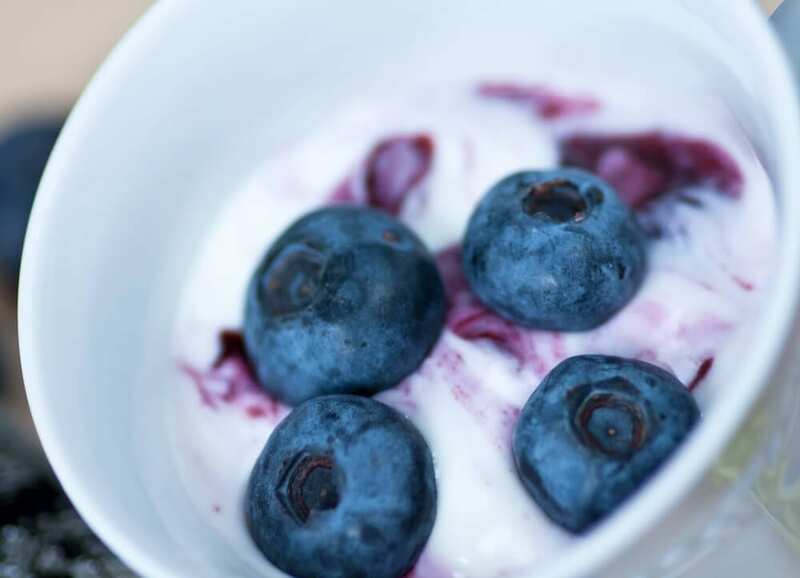 Why it’s night-friendly: Instead of just empty sweetness, a mix of yogurt and blueberries provides fiber, vitamin C, vitamin K, calcium, and other good things. Turn your favorite lunch-time grain into the base for a healthy late-night snack by skipping the savory oils and seasonings and stirring in a handful of fresh strawberries. Why it’s night-friendly: The calories you do get from eating juicy strawberries and fluffy quinoa come along with protein, vitamins, minerals, and fiber. You might think grapes could never fulfil a late-night cereal craving, but the sweet little packages taste better than any fruit-flavored flake you can get in a box. Why it’s night-friendly: Grapes provide about as much sweetness as you can get without added sugar, so they keep you from turning to syrupy cereal. We’ve put peanut butter on pretty much everything else by now; dates seemed to be a natural next choice. To make this snack, use a no-sugar-added natural peanut butter to stuff your dates. Why it’s night-friendly: This snack tastes richer than a fruit-based snack should. It’s satisfying, full of nutrients, and fast to throw together. Skip the heavy dough and put cheese and sauce on low-calorie bell peppers packed with vitamin C and B6. Why it’s night-friendly: The snack turns pizza into a veggie-based treat that won’t weigh you, or your belly, down before bedtime. Get your pizza fix with a bowl full of goodness that includes mushrooms, tomatoes, and polenta. Why it’s night-friendly: This bowl has all the flavor of pizza, but it provides tons of other nutrients that white dough and greasy cheese lack. Whip up a tasty snack bowl made of quinoa, cottage cheese, sliced black olives, and sun-dried tomatoes. The bowl will be ready before you could get any pizza delivered, and in the long run, eating this bowl will make you feel much better than eating a slice of pizza. Why it’s night-friendly: This whole-food pizza bowl goes big on flavor, but it stays low in fat and calories. If pizza bagels ruled your childhood snacking nights, then pizza salads might just rule your adult snacking nights. Why it’s night-friendly: With mixed greens instead of a crust, and a sprinkling of cheese instead of a sheet of mozzarella, pizza salad makes an ideal stand-in for a traditional pie. Chicken wings have plenty of fat naturally, and frying them and dousing them in buttery sauce doesn’t exactly increase their nutrient content. 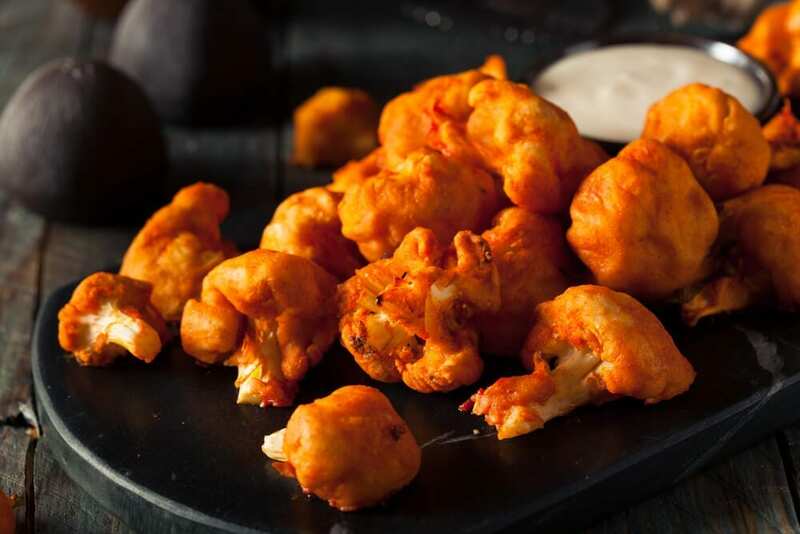 When you’re craving that buffalo flavor, robust cauliflower serves as the perfect vessel for healthy, spicy sauce. Why it’s night-friendly: This veggie-based buffalo snack takes it easy on the fat and calories. Plus, cauliflower has vitamins, minerals, proteins, and tons of fiber, so you’ll wake up ready to take on your day. This late-night snack will save the diet of anyone who just can’t let go of those buffalo chicken cravings. Mild tasting alone, chickpeas take on the flavor of any sauce. This recipe calls for blending, but if it’s late and you don’t want to disturb your neighbors, then you can easily mash chickpeas with sauce using a potato masher. Why it’s night-friendly: Wholesome chickpeas have fiber and lean protein, so they’re easier on your stomach than any chicken-wing fat bomb. Plus, they have far fewer calories. Who knew the same carrots you snack on with hummus could also substitute for chicken wings? Why it’s night-friendly: Since this snack features wholesome carrots as the key ingredient, it’s just as healthy as munching on raw carrots, but it’s way more satisfying. Tempeh makes another lovely substitute for fatty chicken. Eat this snack with veggie sticks to fulfill your late-night veggie requirement. Cut down your nightly snack wait time by preparing your “bread crumbs” and marinating your tempeh before you leave for the night. Why it’s night-friendly: This snack cuts most of the fat and calories from standard chicken wings, making it a healthy choice for night snacking. Bake avocados instead of frying potatoes to make a snack with more healthy fats and nutrients than french fries, especially the kind you find at fast-food joints. Carrots save the day again, this time, substituting for french fries instead of chicken wings. 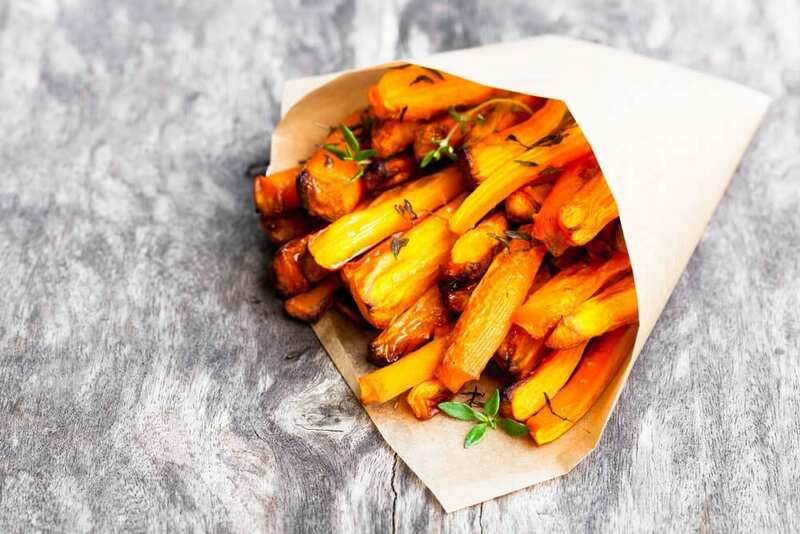 Why it’s night-friendly: Baked carrots win the healthy award over fried potatoes any day. And when it comes to late-night snacking, getting more nutrients while eating fewer calories is always a good choice. When you don’t have time to fire up the oven to bake some healthy fries, jicama can fulfill your fry cravings. Slice up a jicama before night falls to save time, or splurge on the precut sticks you can find at the grocery store. Channel the whole “french fry” package by eating your sticks with some ketchup infused with hot sauce and cumin. Why it’s night-friendly: Naturally crispy and starchy in raw form, jicama has loads of filling fiber to satisfy late-night snackers. Baked chips beat fast-food french fries any day, and you can easily keep some chips stashed around the house for emergency late-night hunger pangs. Why it’s night-friendly: Low in calories and fat, baked potato chips require zero prep time, so snackers can rely on them for a quick fix. These pea crisps have everything you love about french fries. They’re salty. They’re crispy. They’re even shaped like french fries. Why it’s night-friendly: These plant-based snacks have just over 100 calories. Try to find a serving of regular french fries that can boast those numbers. Whoever first had the idea to turn bananas into ice cream deserves a gold medal. So many of our nightly cravings can be tricked by healthy substitutes, and creamy bananas, frozen and blended, fill the void many of us think we want to fill with ice cream. Why it’s night-friendly: This fruit-based frozen treat has a fraction of the fat and calories you would get by eating traditional ice cream. Plus, the calories you do consume come along with other good things, including potassium, fiber, and vitamin C.
Fruit-based sorbet fills in for ice cream in even the most pressing snacking occasions. Mango makes an especially rich sorbet. Why it’s night-friendly: Opt for a no-sugar-added variety of mango sorbet to make this snack as night-friendly as sorbet can get. You can even make your own sorbet by pureeing frozen mango chunks and refreezing the puree for about five minutes. Scoop some yogurt into a mug and drizzle it with honey. Pop it in the freezer and wait for about 10 minutes. Take it out and enjoy some not-quite-frozen yogurt that will satisfy your need for a creamy frozen treat. Try adding cinnamon, orange slices, and anything else that suits your fancy, except maybe hot fudge sauce. Why it’s night-friendly: Lighter than ice cream, this snack requires ingredients you might already have on hand. When a craving strikes, you’ll be all set. 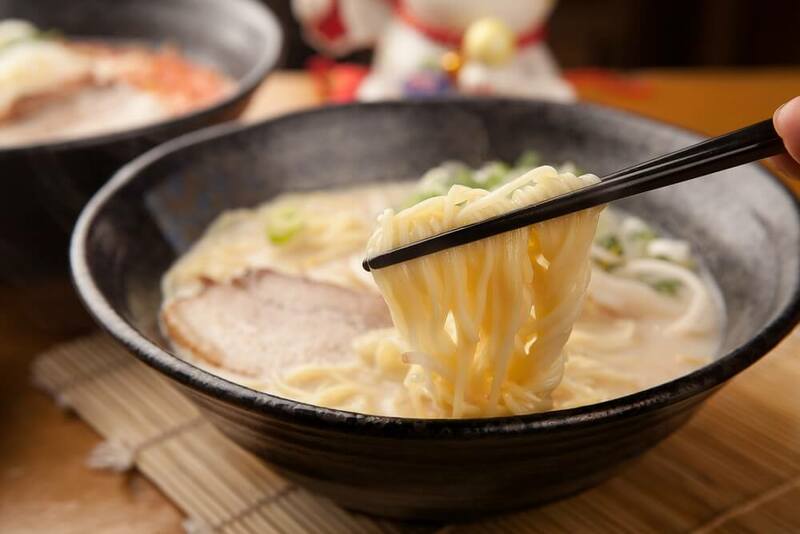 This late-snack will please eaters who believe ramen is really all about the broth. Swapping zucchini for carb-laden noodles makes this ramen a healthy option to eat after sunset. Make a big batch of zucchini ramen so it can do triple-duty as lunch, dinner, and snack. Why it’s night-friendly: Using veggies instead of noodles removes most of the heft from this dish, so you can eat it at night without feeling guilty…or waking up with a noodle hangover. When you’ve just gotta have a fix of the real-deal ramen, make it yourself instead of settling for the packaged kind. This ramen recipe may have noodles, but it also has a healthy infusion of fresh kale, carrots, and shitake mushrooms. Why it’s night-friendly: Far fresher and less sodium dense than what you might get from a late-night delivery service or package, this recipe brings nutrients to the table along with a heavy helping of flavor. Seaweed snacks have all the umami flavor that makes you crave ramen. Why it’s night-friendly: Most seaweed snacks have minimal calories and tons of flavor, so they satisfy late-night cravings without imposing many consequences. Do you have a go-to late-night snack? Let us know below—if you’re willing to share, that is!